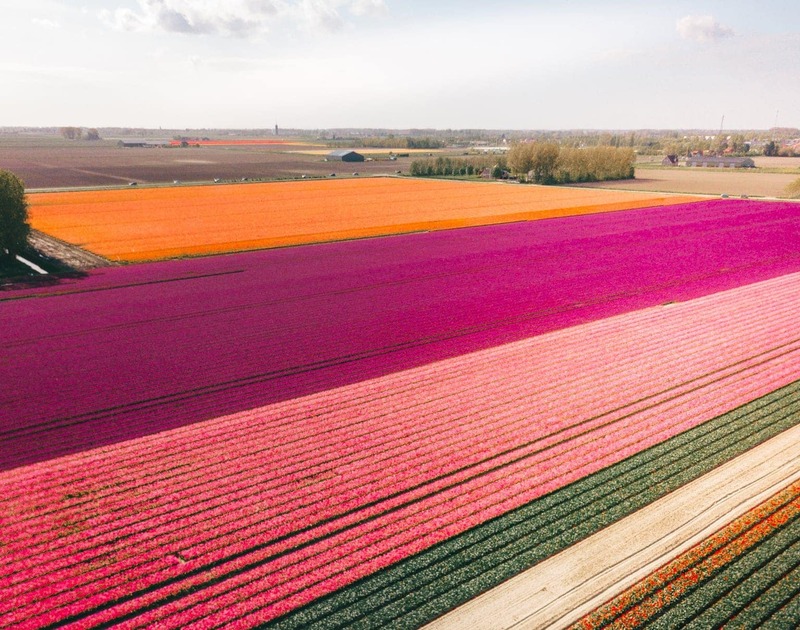 Between late April to early May, The Netherlands bursts into the colors of the rainbow. 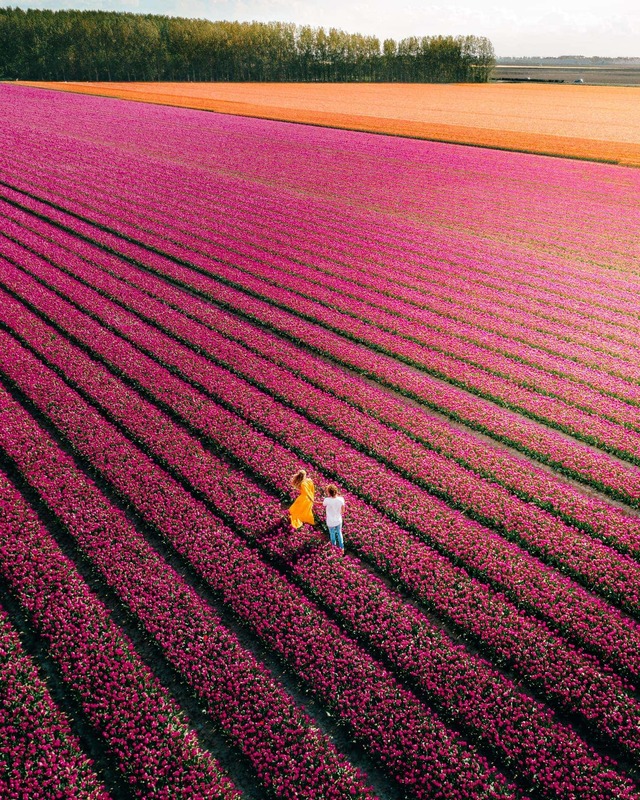 Large fields with tulips in the Netherlands shows the country from one of its best side. 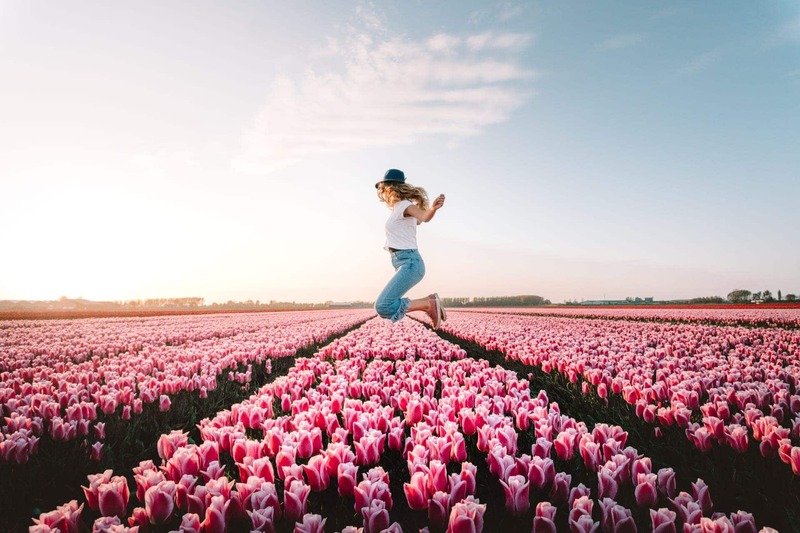 Keukenhof, Lisse, and Amsterdam are the most popular places to see tulips in the Netherlands but what if we tell you there is a secret location? An island, filled with massive tulip fields, away from the crowds and free to visit! Here’s how to see tulips in the Netherlands for free! 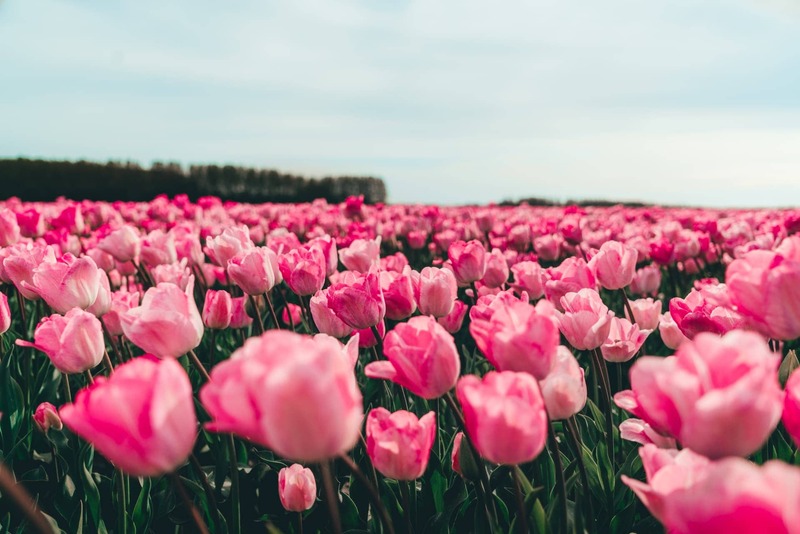 With over 11000 hectares, the tulips are a big export product of the Netherlands. Right before winter hits, between October and January, the bulbs are planted. The bulbs need that cold period to be able to bloom. ⌲ Psttt, the exact fields locations is at the end of this guide. By the end of April, large fields in all kinds of colors appear, which are a feast for the eye after a grey winter. In the first week of May, the flowers are cut and ready to be sold at the markets, florists, and supermarkets. Do not: walk through nor damage the tulips fields, this is the business of the farmer so please respect the crop. After cutting the tulips, it is not over. The energy that used to go to the tulip now goes into the bulb which makes it grow better. The tulip bulbs are the export product of the farmers. The best place to see tulips for free in the Netherlands is on the south-west part of the Netherlands. 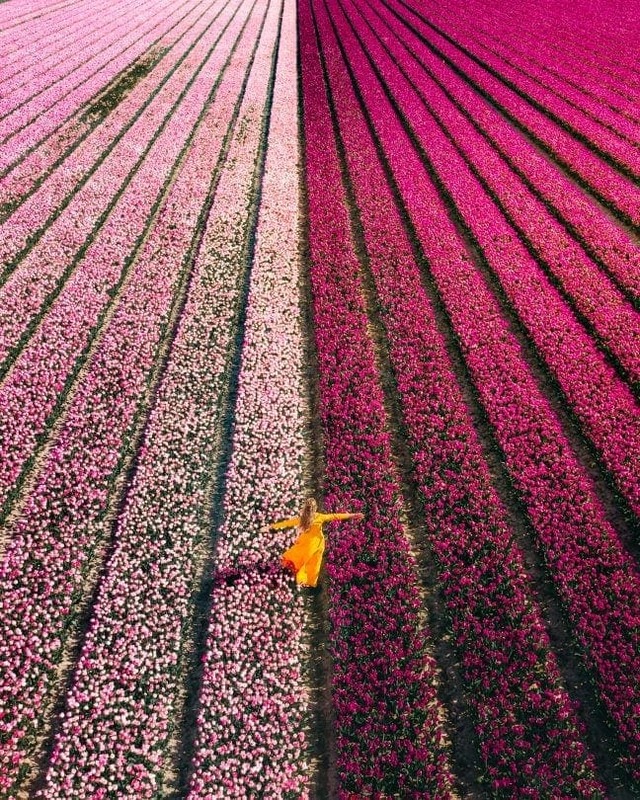 An island called ‘Goeree-Overflakkee’, where we both are born and raised owns one of the best Wind and Kite Surf beaches in The Netherlands and massive tulip fields. Goeree-Overflakee and its tulip fields are a 35-minute drive from Rotterdam. 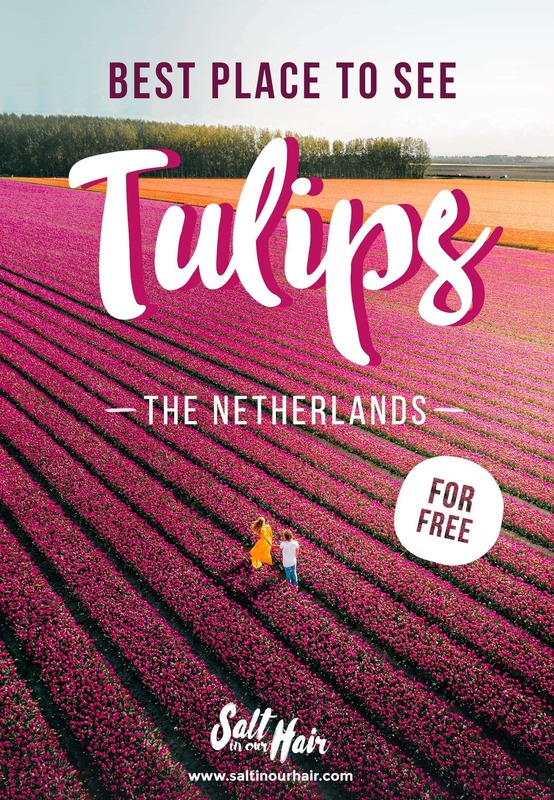 Other than Keukenhof, Lisse or Amsterdam, these tulip fields are only known to locals who visit the tulips on the weekend or after their day at work. 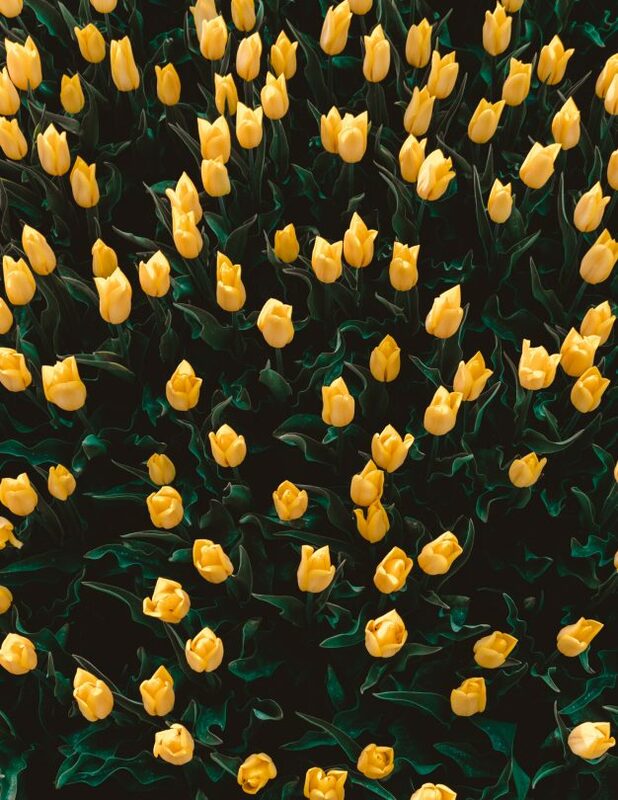 There are so many fields around that it won’t be hard to find tulip flowers without any visitors. 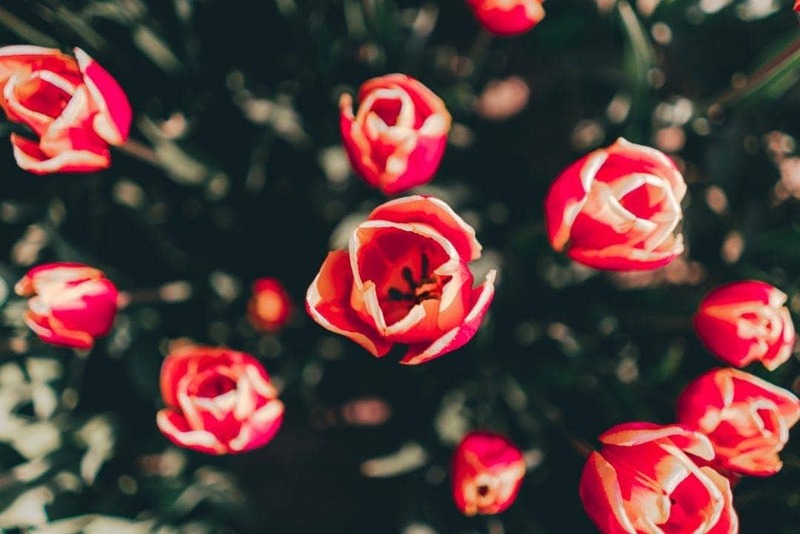 Fun fact: Tulips are originally brought to the Netherlands from Turkey. The best time to see the tulip flower is usually the last week of April and the first week of May. You can combine the tulip season with Kingsday, the birthday of the king on the 27th of April. Known as one of the best public holidays in The Netherlands. Across the entire island Goeree-Overflakkee, are tulip fields in all colors and sizes. The largest fields are outside the villages in the central and east part of the island. The exact location of the fields changes every year, but with dozens of tulip fields around they won’t be far! A yearly returning event is the Tulip Walking Tour called ‘Tulpenwandeltocht’. You can sign up and walk a route along all the tulip fields. Fun fact: Until today, it is not possible to grow black tulips. 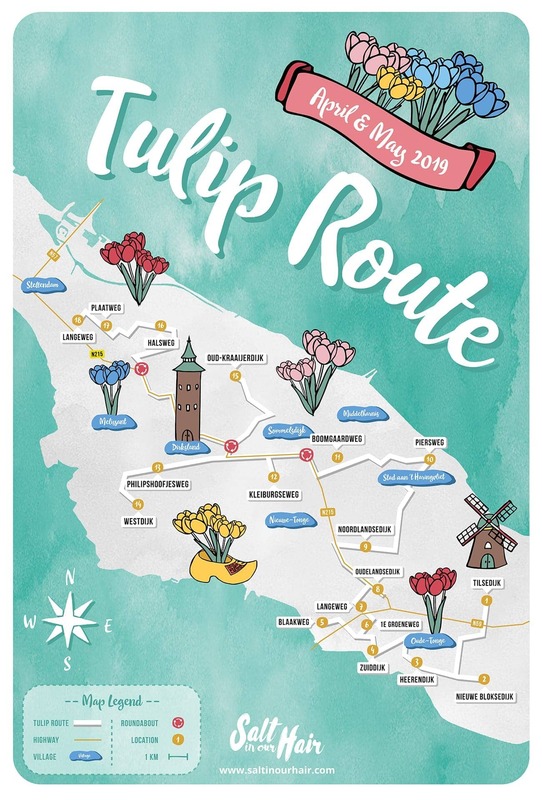 Find the majority of the tulip fields on our 2019 route map below or in this Google Maps map. Please remember that the tulips fields in the Netherlands are only in April and May. Now important to know is that farmers sell these flowers and need to make a living off that. Different from the tulips in Amsterdam, Keukenhof or Lisse a fence does not protect these tulip fields. It is your responsibility not to harm the tulip flowers. There is a hand full of wider paths in each field which can be used to stand for a photo. You can take so many beautiful images even if you are not walking in the tulip field. Sometimes it is all about perspective. Please note: The tulip fields are private property and the farmer is allowed to ask you to leave his property. How to visit the tulips in the Netherlands? Getting to Goeree-Overflakee and its tulip fields is best by rented car. 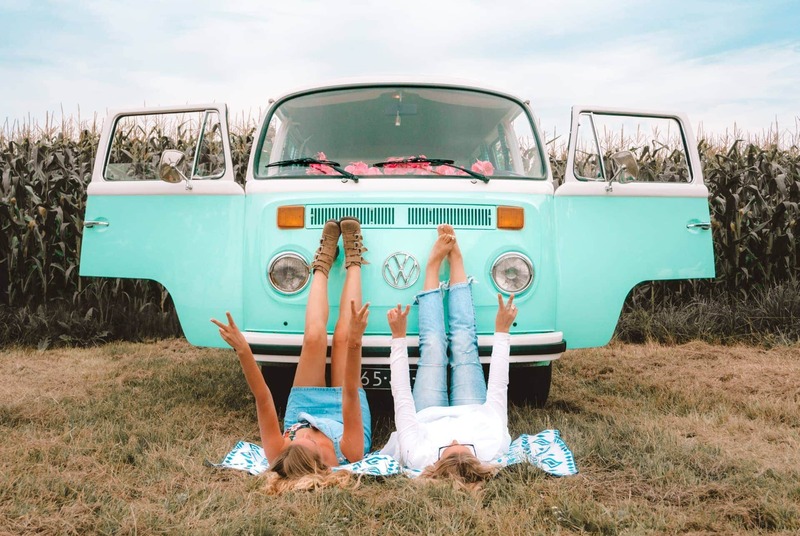 You have the full freedom to drive around to all the tulip fields and the enormous beach area on the west side of the island. Driving around the whole island can be done in a maximum of 60 minutes. Tulip fields 2019: A few of the picturesque tulip fields are located here, here and here. Spend a night or entire weekend in the area. 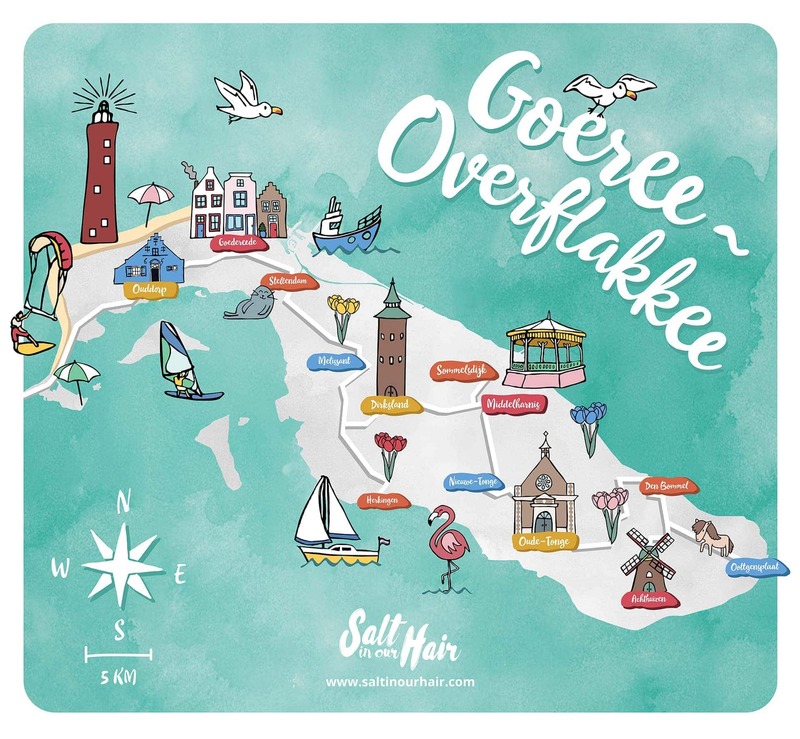 There are loads of B&B’s available on Goeree-Overflakkee. A 90-minute drive by rented car from Amsterdam. Take the 25-minute express train from Amsterdam to Rotterdam. Rent a car in Rotterdam and drive 35 minutes to the island. A common misunderstanding of the tulips in the Netherlands is that they are there year round. Tulips in the Netherlands are only there in tulip season during the last two weeks of April and the first week of May. Tulip season is spring in the Netherlands, which usually is a period of pleasant sunshine and a comfortable breeze. Good to know if that the tulips in Keukenhof are maintained. They will be there for a longer period but nothing like the stunning fields on the farm fields. 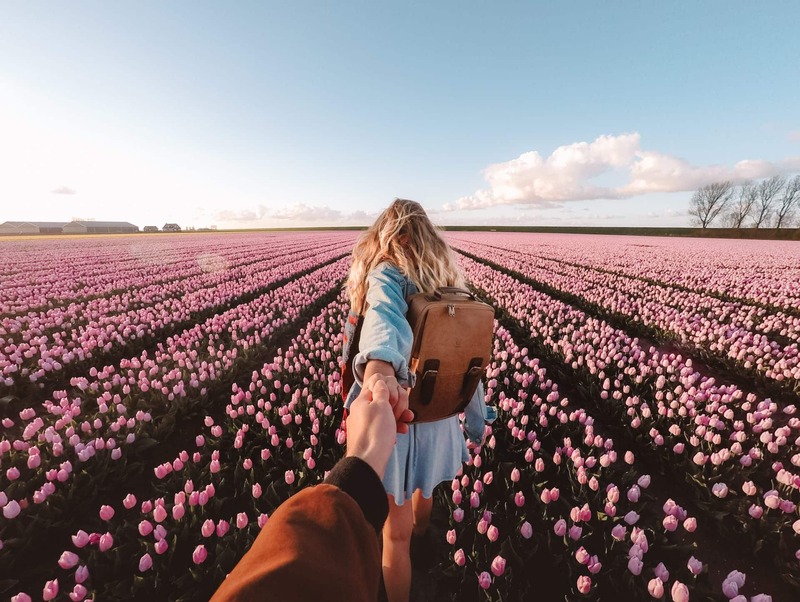 Wandering at the tulips during sunset is a must-do! Spend the night at one of the many guesthouses or B&Bs in the area so you have more time to do this and even see the beach.